Company Blu inaugurated the season on the last Tuesday in May with a contemporary dance performance entitled “4 Steps 4 Angel” by Charlotte Zerbey in the Niobe room. 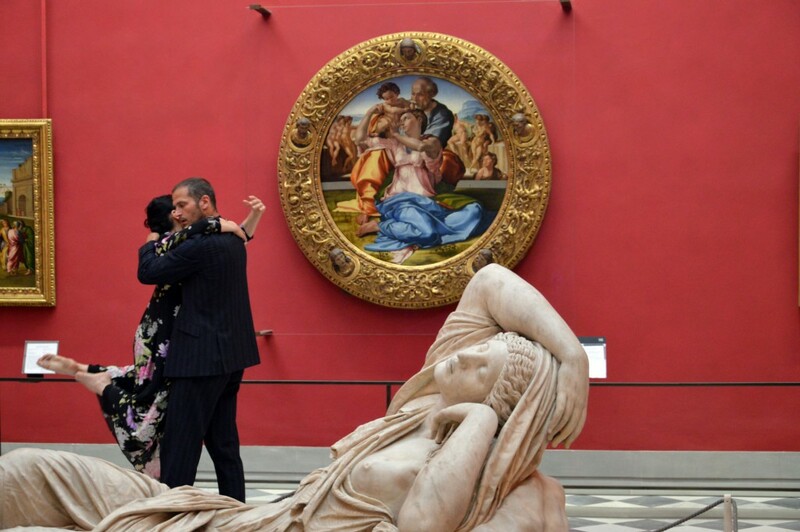 Up until September 27th, the Uffizi Gallery has organized longer openings hours every Tuesday and is holding a Festival of the Performing Arts on these Tuesdays under the name of “Uffizi Live“. 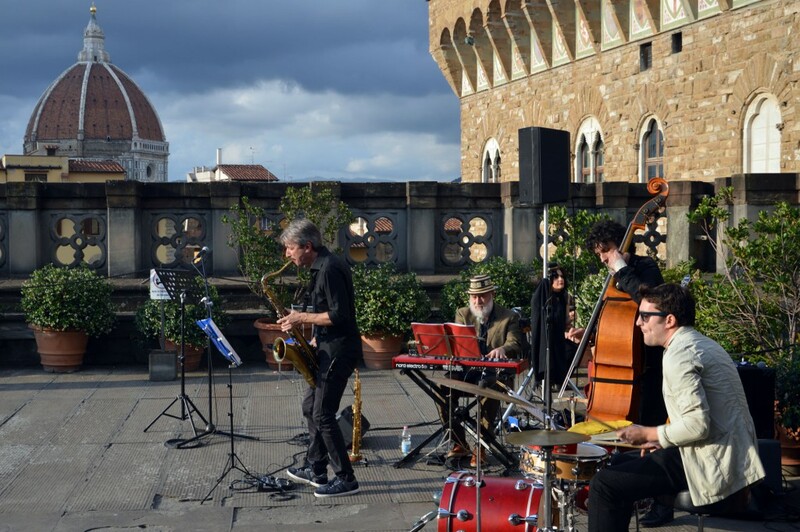 The summer festival is a mix of artistic events that include theater, dance and musical shows and concerts within the Uffizi’s rooms between 7pm and 10pm on these Tuesdays. Visitors will thus have an extra incentive for visiting the museum on these days, having a chance to enjoy the pictorial and sculptural artworks of the museum along with other forms of art. The shows range from traditional performances to more contemporary and experimental shows. The first Tuesday of July will offer a fascinating concert of medieval music and singing. The San Felice Ensemble, composed of five musicians and two singers under the direction of Maestro Federico Bardazzi, will play a selection of sacred and profane pieces of laude and contrafacta written by Francesco Landini, a Florentine composer and musician of the 14th century. 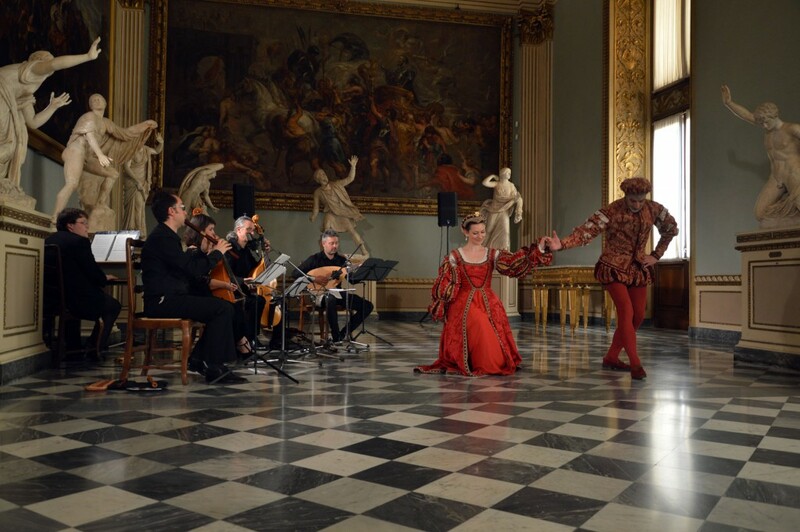 On June 21, Zefiro and the Musica Ensemble by Beatrice Cristini offered a combination of 16th-17th century live music, Renaissance dances and readings from coeval writers in the Niobe room. 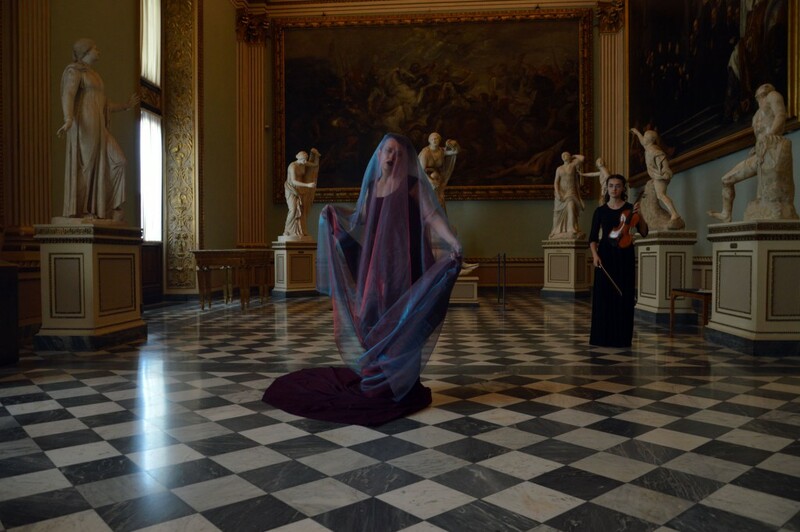 A double show for Uffizi visitors: a classical music concert and a theatrical performance inspired by the “mimic” method. In the Niobe Room, the young Stefania Scapin plays a solo harp piece directed by Maestro Michele Sarti called “Between Bach and Scarlatti”. Meanwhile, across the various rooms of the museum, actors from the Down Theatre Company will bring artworks to life by using mime movements, inspired by the acting method of the great Master of Drama, Orazio Costa. On June 28th, the actress Stefania Stefanin, accompanied by the musical notes of Emma Nicoletti’s violin, re-evoked the Ovidian myth of Niobe and the massacre of her children, the Niobids. The Antica Liuteria Sangineto presents “The depicted sound – musical instruments in the art of painting”, a project that mixes music and art history. The artists-artisans of the Sangineto family will display the faithful reconstructions of ancient string instruments that they have handcrafted by copying the original ones featured in paintings within the Gallery. The instruments will thus “relive” and play again, each one next to its depicted replica. Visitors will get to both hear and “admire” the music from the paintings, and should prove to be a musical experience made of old and everlasting sounds. The program for the month of July ends with an original and unusual show: a performance of illusionism and magic expressly conceived for the artworks of the Uffizi Gallery by Bustric, the Magician. Disguised as an odd night attendant of the museum, Bustric will talk about the artworks while accompanying visitors in a colorful, poetic itinerant tour through the rooms of the Uffizi Gallery. A fun, ironical portrait by the “illusionist” who paradoxically tries to disclose the magic of “illusion” in the paintings, through the delicate, sophisticated “poetics of tiny things” which has distinguised Magician Bustric as one of the most prasied illusionists across Europe. If you visit the Uffizi on Tuesday evenings, share your photos and experiences with us either here on the comments below or through our social profiles such as Facebook or Instagram! On June 14th, the Versiliadanza Ensemble performed an itinerant piece of contemporary dance across the rooms of the Gallery. An American living in Florence for over 10 years, Lourdes continues to explore and discover new places in Tuscany with the eyes of a tourist but with the experience of living in Italy. She shares her experiences on this blog and website, particularly offering lots of travel planning help on the Forum! Latest pictures from our Instagram account, remember to follow @Discovertuscany!